If you guys remember, there was a tease for something called "War of the Gods: Legends" at the end of the War of the Gods Season 3 finale, with details coming down the road. Well, it's down the road and we've got details. Revealed during the SoCal Regionals Top 8, we now know what this is, how to enter, and what's up for grabs. You can check out the reveal trailer over here. 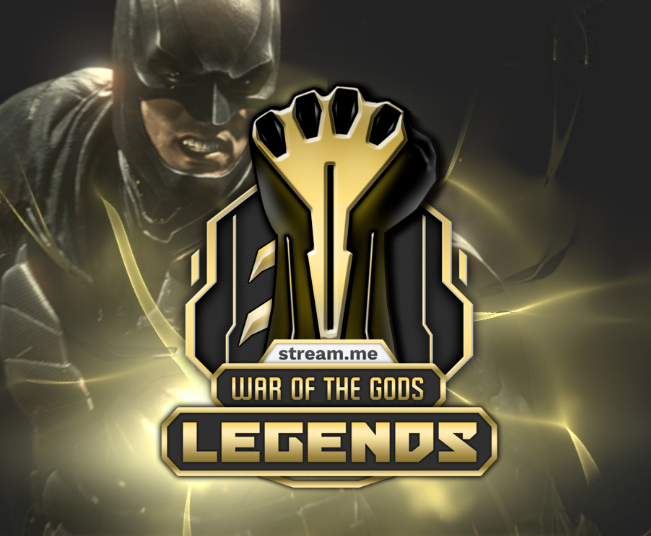 From what I can gather, War of the Gods (for this anyway) isn't doing the typical 10 week league with a big prize at the end and weekly prizes throughout. This is a full on online invitational with a big cash prize up for grabs at the end. 12 players have seats for the invitational, with another 4 up for grabs via an online sign-up. Everyone will be split up into groups who will play in a round-robin tournament, and eventually the winners will make it to the end invitational event. If you want it explained a bit better (I know it might seem a little confusing) you can catch the details over at this link here. Much like the OG War of the Gods, everyone is welcome to sign-up and it's free. So if you wanted to try your hand at War of the Gods, but couldn't keep up with the weekly events, give this a shot and see if this works for you. Who knows, you might end up getting some cash for your effort. So excited to start this! ¨Legends¨ there's one legend I have in mind. And that one don't play the game. LUL. ( This is a joke BTW). Im just happy for more Injustice action, specially with Aqua and co. Props for the continued support. I'm not sure I understand what makes this so unique. All the stream me ads and Aquaman's post say things like "the format is new to the FGC,"... but I do not understand why? It appears at first glace to just be a standard invitational... as in a competition with invites. What exactly is new in this event? Trying to wrap my head around it, so does that mean everyone in a group will play eachother until the last man standing and then they move on to the playoffs as it were? Either way sounds neat, really liked your guys streams so far and this change in format may make it a bit more interesting. "Let's turn up the heat!" Does that mean the players invited will not be playing in the open qualifiers since they are already in? Cool cool. Very excited to see this, and echoing others, really appreciate the support for I2! Interesting stage-based brackets. I maybe would have anticipated two groups of eight instead of four groups of four, so we could see a wider variety of match-ups. The smaller groups are trickier to seed fairly too. Any reason for this particular format? It will be hype to watch, either way. And two double round-robins with best of 7s? Darn it's going to be a looong tourney. More great content to watch though. If I follow correctly, invited players get to skip the first qualifier, but if an invited player ends last in his group after the first group stage, he misses the split final and has to compete in the second qualifier to get back in... is that correct? Will the groups be shuffled around after the first split final? Or do they stay the same except for the qualifier players? Looking forward to hearing the first groups announced!